As we walk slowly through the dense tropical rainforests of Meghalaya, an infinite variety of native plants, wild mushrooms and butterflies welcome us in an exuberant display of abundance. Dappled sunlight complements the sounds of tropical birds and cicadas in the forest, guiding us further and deeper. Rejuvenated with the richness and diversity of the natural world, we finally reach a clearing in the forest and find ourselves standing on an extraordinary living plant bridge over a turbulent river. 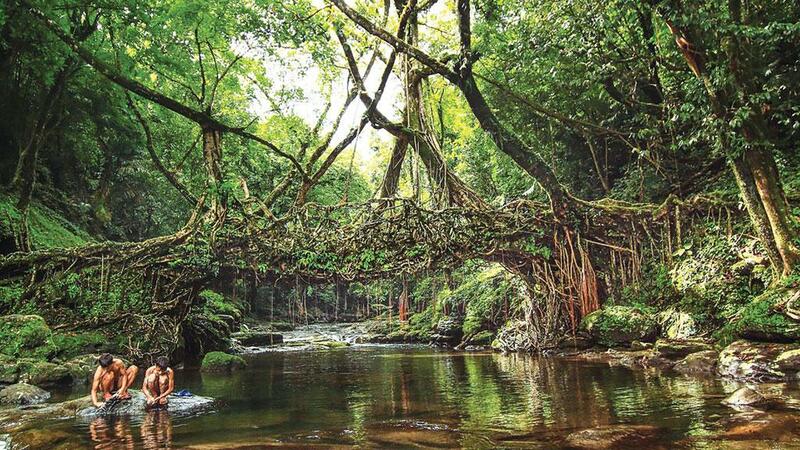 Locally known as jingkiengjri, this is a living root bridge in Nongriat in the East Khasi Hills of Meghalaya. 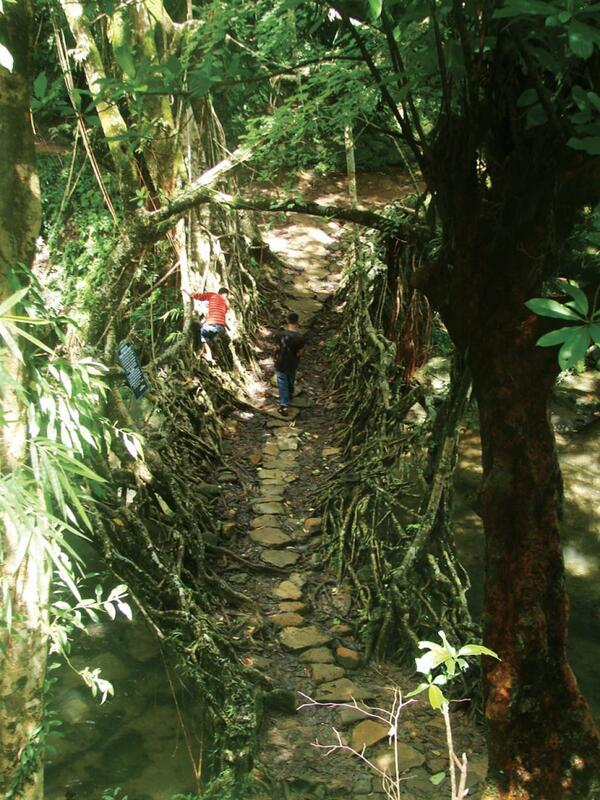 Living root bridges are rubber fig plant (Ficus elastica)-based bridges found in dense subtropical moist broadleaf forest ecoregion of north-eastern Indian Himalayas. Grown by the indigenous Khasi and Jaintia tribes, these bridges range in span from four to 76 metres and last for several centuries. With exceptional robustness under extreme climatic conditions, minimal material cost, remedial properties on surrounding environment, collective grassroot involvement across multiple generations, and support to other plant and animal systems, living root bridges offer an extraordinary model for socio-ecological resilience and sustainability. 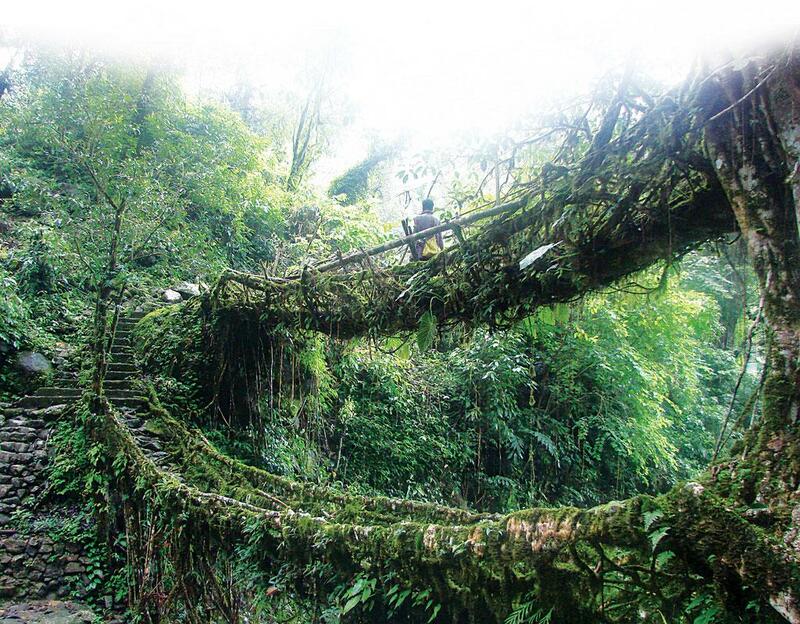 The living root bridges are a legacy of the indigenous Khasi and Jaintia tribes of Meghalaya. 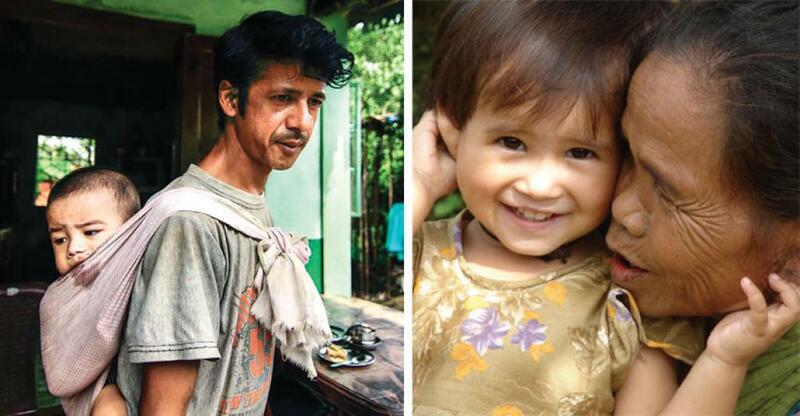 Demonstrating a high degree of self-sufficiency, which in part is owing to their remote location and distinctive environment, these tribes have developed a unique and sustainable relationship with nature. Through an elaborate attempt to balance individual needs with the needs of the larger community, they have nurtured an ecosystem which acknowledges the interdependent and interconnected nature of all life. Relevant tribal systems worth highlighting include the traditional practice of sacred groves, a coherent classification of land and forests, an independent village-durbar based governance system, an eco-theandric vision of reality, unique laws of inheritance and succession, and laws of consanguinity and kinship. These ecology-related management practices are an indispensable part of tribal life and contribute critically to their resilience. The collective nature of the indigenous tribes and their intimate relationship with the forest is epitomised in the living root bridges. There are 11 scientifically documented bridges in the East Khasi Hills of Meghalaya with the overall estimate exceeding 100 bridges in various growth stages. Developed from the aerial roots of Ficus elastica, these pedestrian bridges play an integral and critical role in tribal life connecting remote mountain villages in a vertical landscape. The underlying growth process involves recurring inosculation (joining by twining) of Ficus aerial root fibres over a gorge or a river. The process begins with the placing of a young pliable aerial root in hollowed-out trunks of Areca catechu (a species of the palm tree). These provide essential nutrition and protection from weather, and also perform as root guidance systems. This assemblage is structurally supported by a bamboo scaffold, which spans the river and performs as a temporary river crossing for the local community (see: ‘How a living root bridge is grown’). Over time, as the aerial roots increase in strength and thickness, the Areca catechu trunks are no longer required. Periodic replacement of green bamboo scaffold is essential with increase in aerial root thickness and gradual deterioration of bamboo owing to wet tropical conditions of Meghalaya. This periodic engagement ensures a continual relationship between the bridge and the community. Gradually, more roots are inosculated to the primary root system with geometric variations like steps and handrails integrated at a later stage. Heavy stones, timber planks, leaves and soil are added in succession to plug the gaps and to test the entire living root structure for weight. Heavy humidity, ambient moisture content and pedestrian movement together contribute to soil compaction. Eventually, over a period between 15 and 30 years, the root assemblage becomes strong and stable enough to support substantial human and material weight without the bamboo scaffold. Unlike contemporary construction materials and conventional bridge structures, these living root structural systems become stronger, more robust, resilient and productive with time and use. These bridges have also successfully withstood storm surges and flash floods. With contemporary concrete and steel bridges requiring specialised support and substantial funding from the government, living root bridges continue to perform a critical infrastructure role for rural connectivity in Meghalaya.